... this time. 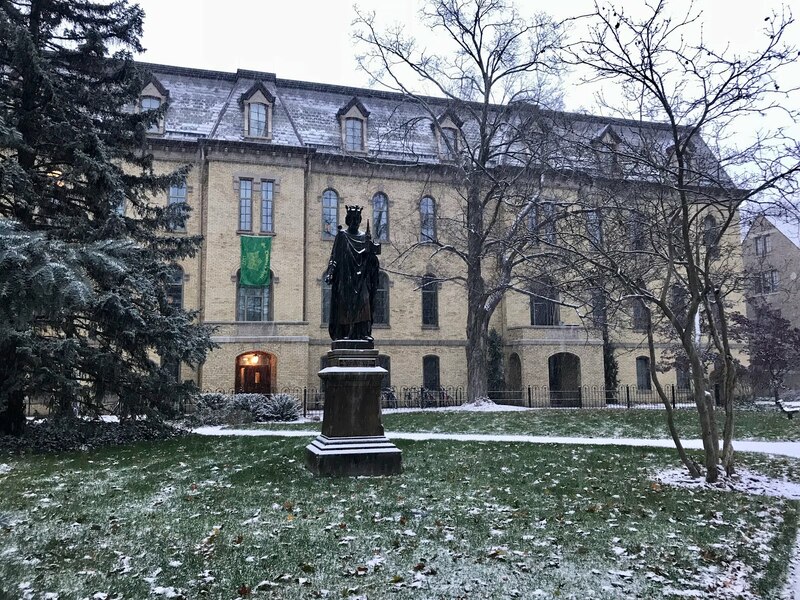 Yes, the first major snow storm hit campus today. Dropping one to two inches, with some sleet and ice mixed in, made for the Thursday morning commute to class just a bit more hectic than usual. 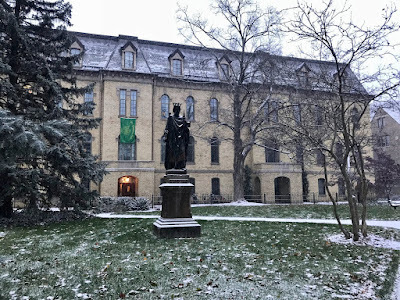 There was also a dash of confusion as Keenan Lofton, Steds freshman and resident Hawaiian, upon experiencing snow thought that classes were cancelled. No. Classes were not cancelled, but whether or not your professor showed up for class, well, that's another story. On seeing the snow, an unnamed assistant rector (AR) said, "When will someone will be scraping the snow off of my car? It's part of our AR package, correct?